In collaboration with Vrije Geluiden, we recorded one of the performances of Niger's Les Filles de Illighadad at Le Guess Who? 2016. Pan African Music now premieres these recordings, ahead of the release of the band's new album, out 28 October on Sahel Sounds. Fatou Seidi Ghali and Alamnou Akrouni reside in the tiny village of Illighadad, Niger. Fatou plays the tende, and an old blue guitar, slightly bent because of the extreme weather. She is one of only two Tuareg female guitarists. Together with her cousin, vocalist Alamnou Akrouni, they strip Tuareg music from all progressive leanings, right back to its bare essence. Various Western African artists have expanded the Tuareg-blues movement on a global scale, but rarely have these soul-purging sounds resonated so candidly and emotively. This is communal music poured straight from the heart, performed to comfort the sick, to entertain the people and to blend in with the radiant ambience of the environment. 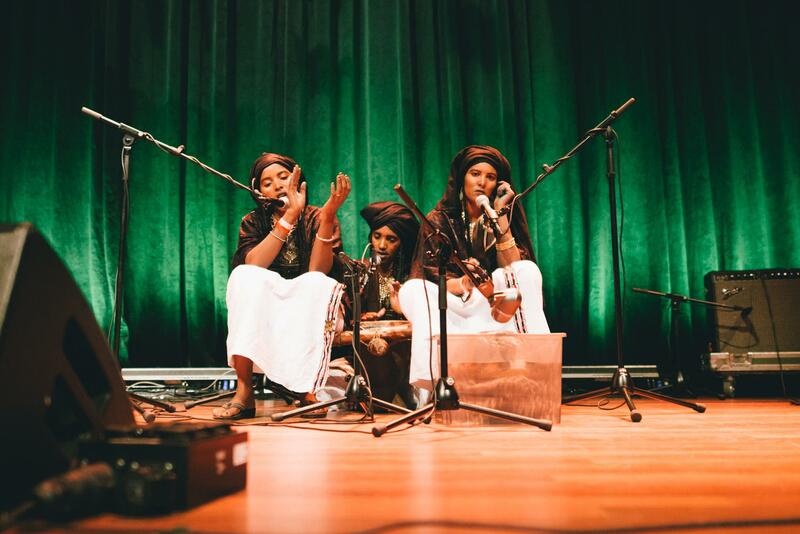 Les Filles de Illighadad played a total of three times at Le Guess Who? 2016, marking the first time they toured outside of their homeland. This year's Le Guess Who? will see performances by Pharoah Sanders, Sekou Kouyate, Sudan Archives, Ibaaku, Les Amazones d'Afrique, Ahmed Fakroun, Shabaka & The Ancestors, Linton Kwesi Johnson, and many more.